If you want the best of the best then equip your truck with an RBP 3.5" lift kit. Whether you enjoy street or off-road driving, RBP suspension kits provide an aggressive look while accommodating larger wheels and tires. RBP lift kits are specifically made to fit your vehicle and provide a smooth ride. RBP lift kits come complete with RBP Nitro shocks that provide a smooth ride. Full floating, high flow pistons help deliver a consistent ride. Vehicle specific valving is pressurized with 150 PSI nitrogen gas, which ensures split second response and reduced aeration. Fox 2.0 Adventure Series shocks are available as an upgrade. Adventure series shocks are super quit and allow for increased suspension articulation. With proven dampening technology, you get the most comfortable ride on the market with predictable off-road handling. Large 5/8" allow shocks add increased strength. RBP 3.5" lift kits include sway bar brackets, blocks, u-bolts, struts, and all other install components you need for installation. 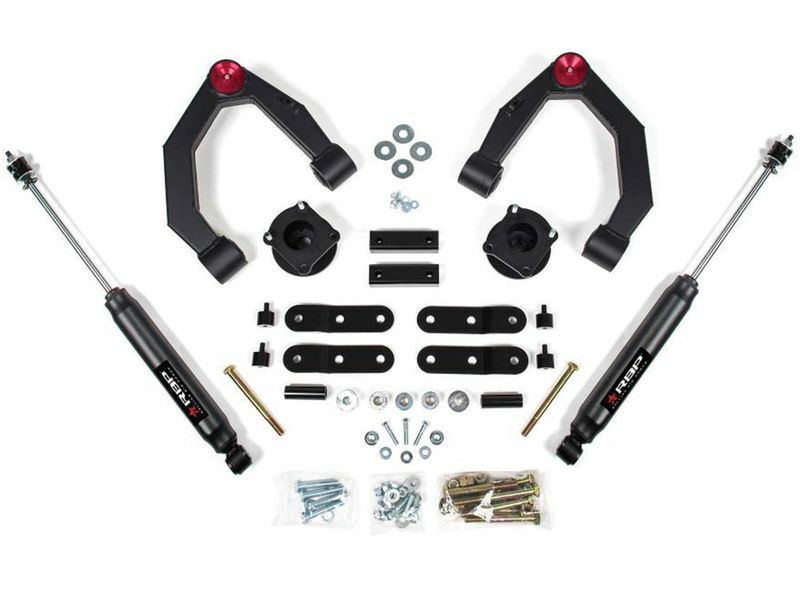 We recommend taking your RBP Lift Kit to a professional shop for installation, however some customers may be able to install a lift on their own. Simply follow the supplied installation instructions.